This apartment is basically furnished but makes a great base to explore the region, it is one of 2 apartments located on the 1st floor of a family house. SCR172 has two bedrooms, and you have to pass through one to reach the other, while the other apartment SCR173 has one bedroom. The house is surrounded by a beautiful wineyard and an orchard. 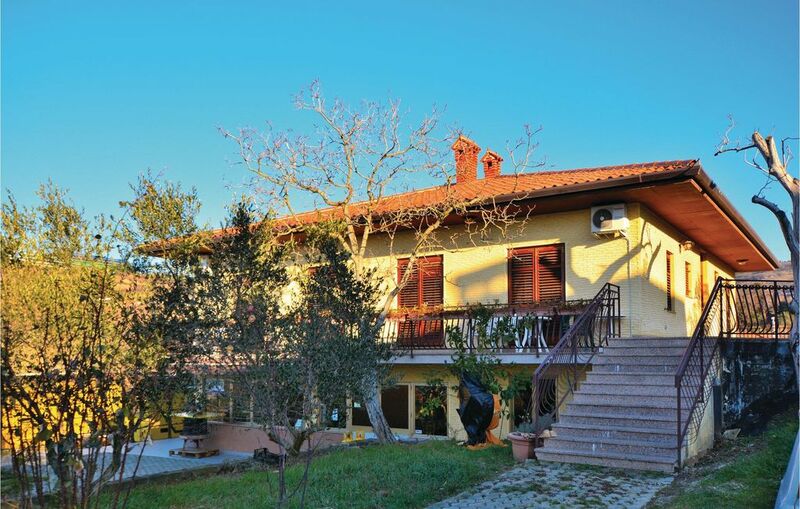 The house owner produces wine, olive oil and peaches which are available to purchase. You can reach the local beaches within a 10 minute stroll and the lovely town of Izol, here you can enjoy in one of the many restaurants and bars. In the surrounding area there are lots of cycling roads and walking paths.